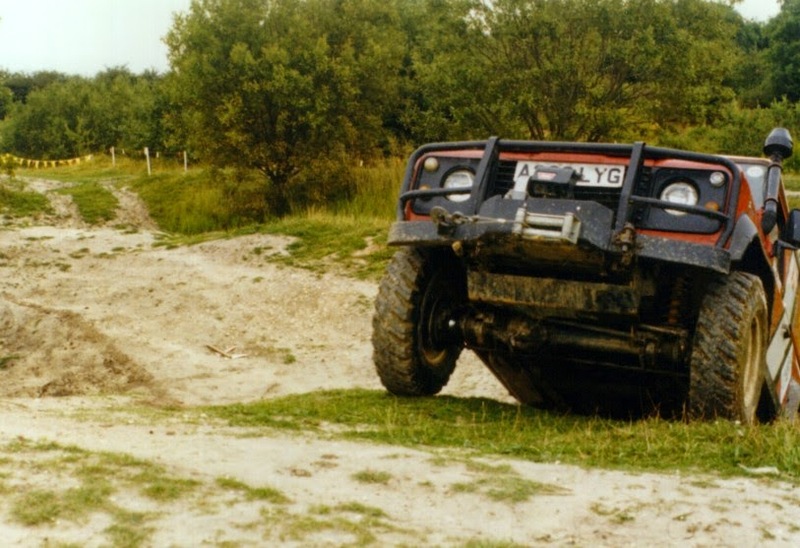 Yesterday, 4 September 1998, my wife and I went on a days training on how to drive off road. We enjoyed it so much I thought it was worth putting a few pictures on this page. 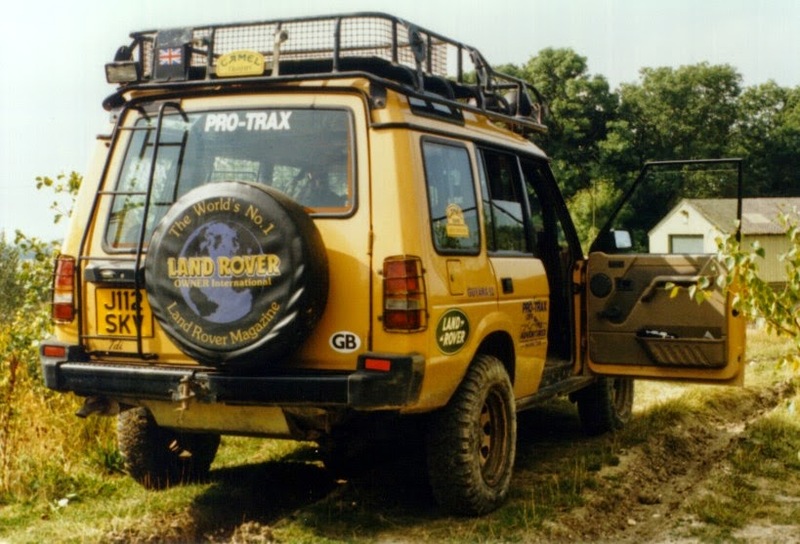 We were given a concise lesson on the theory of off road driving including some safety aspects, then a short demonstration, with us in the Land Rover. 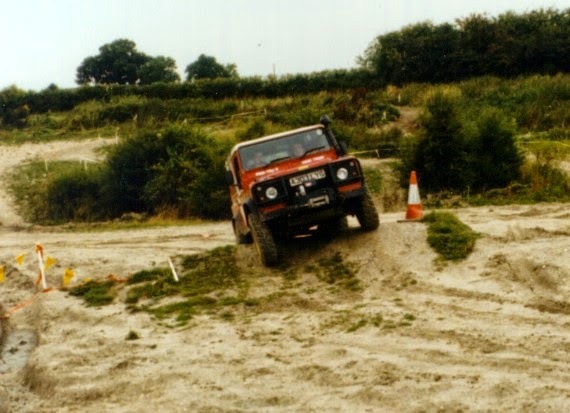 After the demonstration we were each given a chance to drive around the site for ourselves. At all times we were under the supervision of the very professional, but also friendly, instructors. Up, up again, over, round and down. Where did we do it? 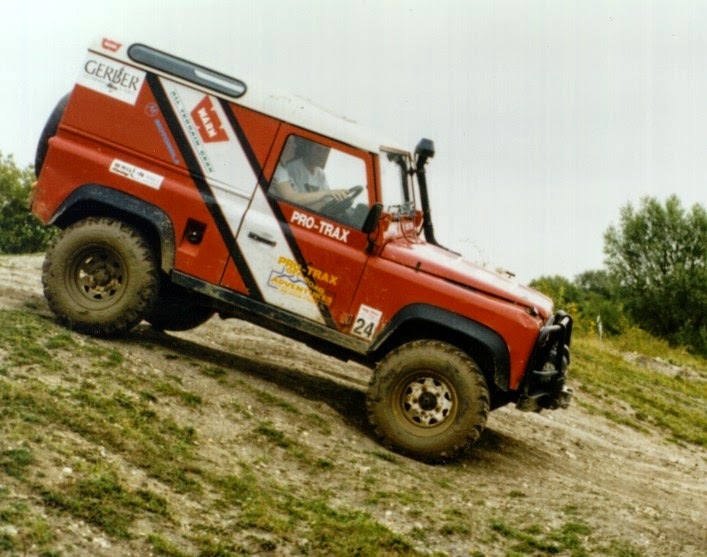 We were recommended to a company called 'Pro-Trax Off-Road Adventures' who, as the name suggests, offer off-road driving courses. 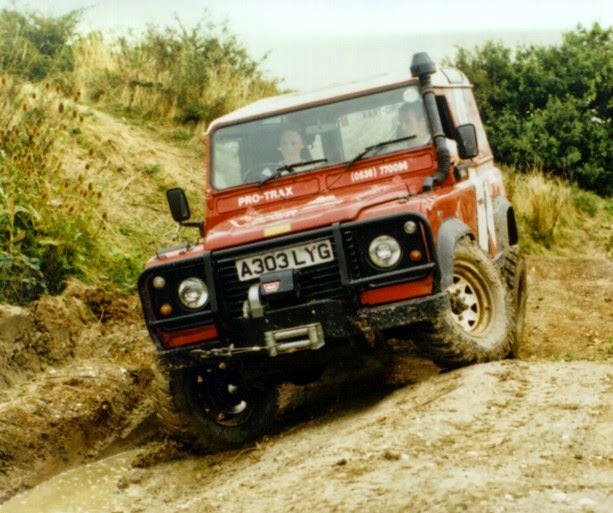 They cater for people who are just interested like ourselves, to corporate days out, and also professional training to those who may need to drive off-road for a living. Their site covers many acres. We went between several areas. The photos give an idea of the size of just two parts of the site. 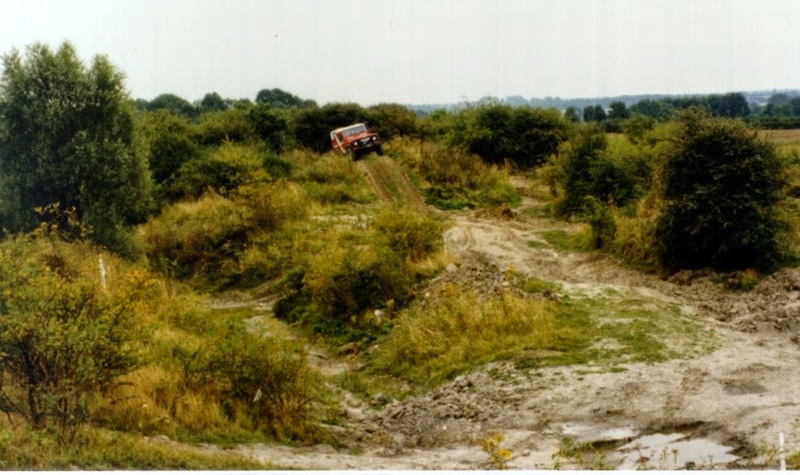 The first two picture show the size of the specially constructed training area. The wooded area, we drove in, was too dark to take photos, so we only have a picture of a glade we passed through. The water in the third picture was a little too deep for us to do on our first day. 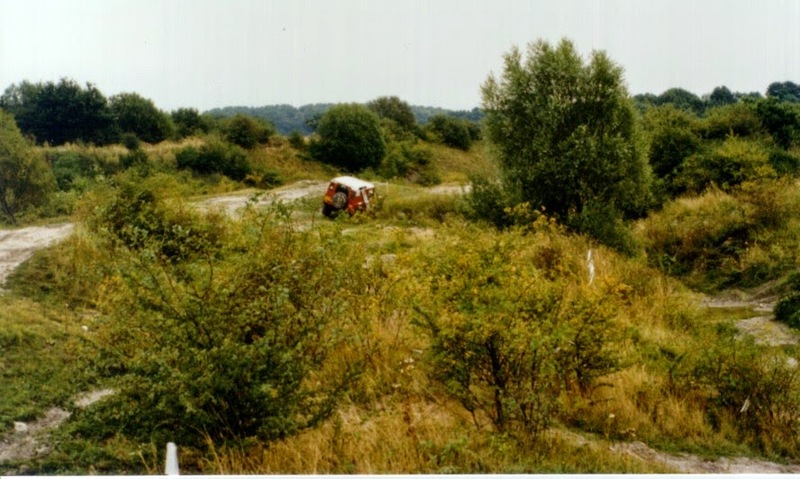 We actually came from round the corner, where the deep tyre tracks lead in to the picture. 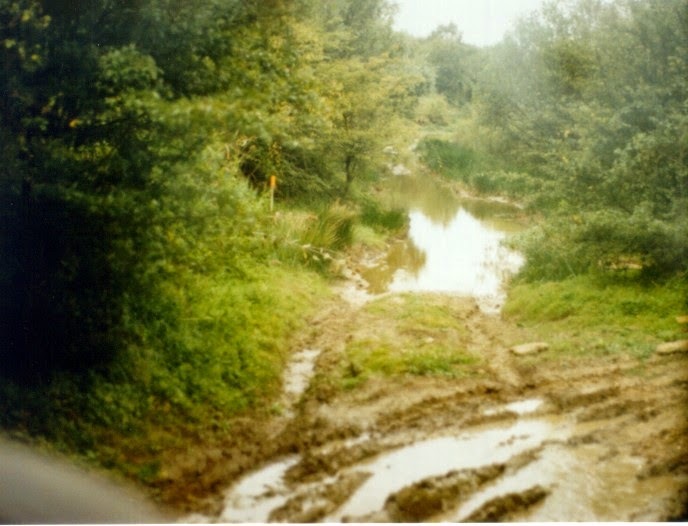 We did do a shallow water crossing at the end of the day. The day we did was called a 'Gift Voucher', this is a special rate for birthdays etc.. Yes, we plan to go back as often as we can.